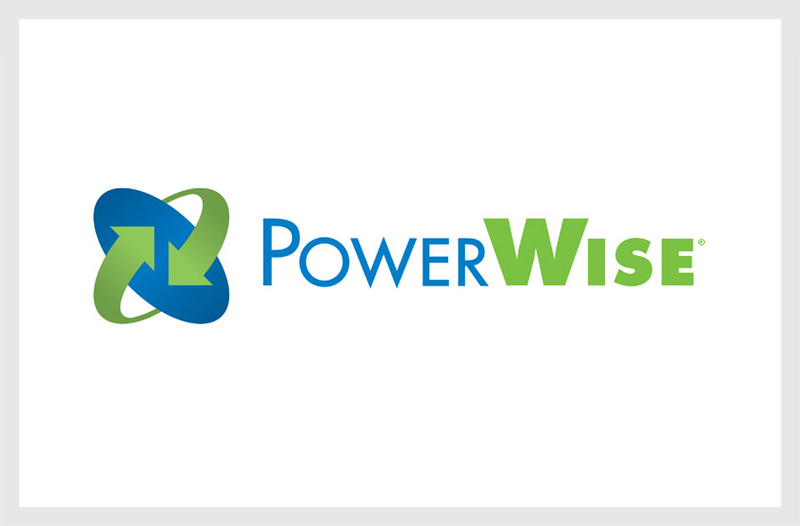 National Semiconductor PowerWise is the semiconductor industry’s leading brand of high performance/low power consumption chips. Our solution uses a cycle of upward and downward arrows to symbolize their chip’s closed-loop system efficiency. The oval form evokes both a silicon wafer and the firm’s global aspirations for intelligent energy management.